Showit Desktop has been discontinued. Please contact Support for help. 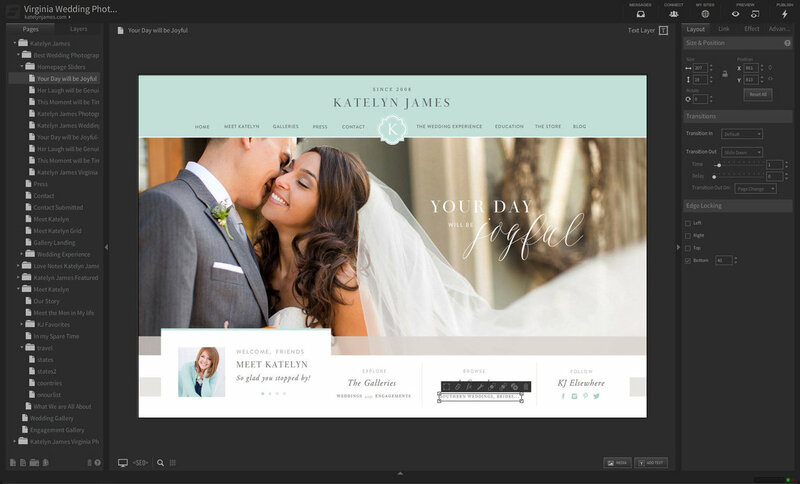 In 2016 we released Showit 5, and completely redesigned drag-and-drop website builder. Since then we have continually reached out to users of Showit Desktop (our legacy website builder first released in 2008) to encourage them to make the transition to our new platform, understanding that we would one day have to pull the plug on the old platform due primarily to old technology. If your website was built and published using Showit Desktop (any time between 2008-2016) and you haven't transitioned to Showit 5, we'd love to hear from you. Please contact Support and we can help guide you through the next steps. Our support team would be more than happy to answer any of your questions as you make this move and you can reach them directly from the help button in the app or send a quick note to us at help@showit.co. If you are still a Desktop subscriber, please note that Showit Desktop will no longer publish changes or allow subscribe or resubscribe starting on August 1st, 2018 and all current Showit Desktop subscriptions must be moved to Showit 5 by October 1st, 2018. Current sites will continue to function as is through 2019, but all changes must be moved to the new Showit 5 platform. We understand that nobody wants to get this kind of news, so we want to do all we can to help you make this transition. Your site on Showit 5 looks great everywhere, on desktops and mobile phones because it will be completely in HTML 5 for transitions, animations, and galleries. You have a ton of options to start from in the design market that has over 170 free and premium designs. All designs are customizable and ready to build a unique site that is perfect for you. Your blog becomes worry free when you move to Showit 5 as it includes an option to host a WordPress blog and the power to design a custom WordPress theme, all with the amazing drag and drop builder and you still do not need to know code. You could SAVE MONEY as the new Showit 5 introduces three subscription pricing options and and by switching from Showit Desktop to Showit 5, it will reduce your subscription if you are not using an advanced WordPress blog. Understanding these challenges, in 2014 we set out to build a new platform from the ground up that would take the best attributes of Showit Desktop and improve them with a whole new approach to mobile design. Since we relaunched in 2016, we have seen massive adoption and thousands of sites are now built on Showit 5. The feedback from users who have switched love the power of a scrolling site with custom desktop and mobile designs. The Showit Desktop software was created in 2008 when Adobe Flash was the best way to create amazingly interactive websites. The world changed, and as smart phones emerged, Flash did not fare well. In 2017 Adobe announced that it will no longer distribute Flash in 2020 and encouraged everyone to move away from Flash as soon as possible.